This teaching manual for the yoga & medical community covers 13 medical conditions having to do with bones, joints, muscles and nerves. For each condition a selection of seated, standing and floor poses are given, with photographs and detailed instructions. View select pages by clicking on the thumbnails below. 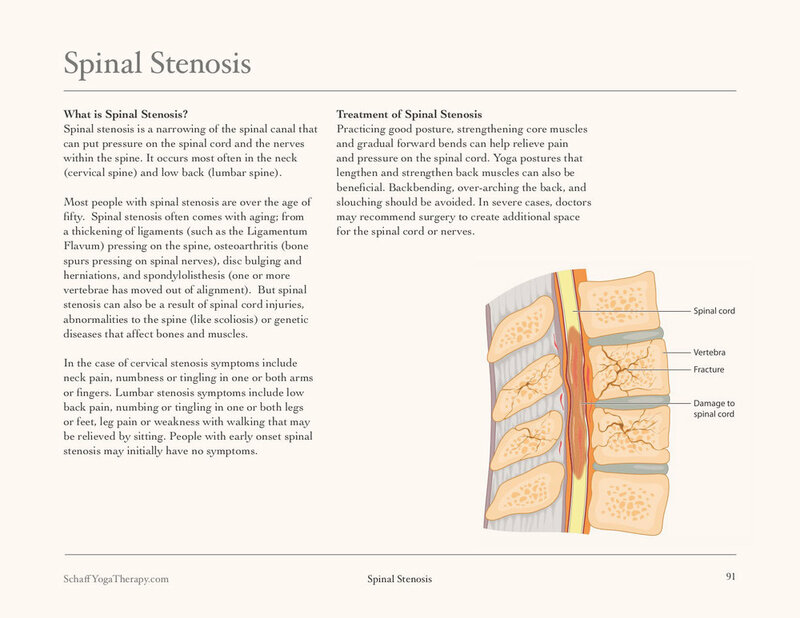 This teaching handbook became the basis of a spinal care program at Manhattan Physical Medicine & Rehabilitation. 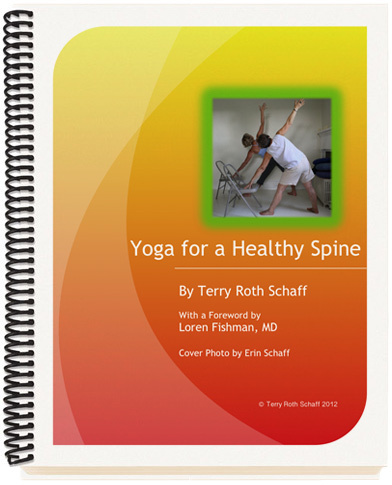 Foreword by Dr. Loren Fishman, Medical Director at Manhattan Physical Medicine. A teaching guide for people who find balance, stability, and mobility an issue. Warm Water Yoga is a way to regain equilibrium, and to begin to move with more ease and comfort in a safe and supportive environment.